Kia Ora, my name is Isla and I am an In-home Educator with Organic Kids. I hold a Bachelor of Education, Teaching Early childhood with 11+ years experience in working with young children aged 0-6. 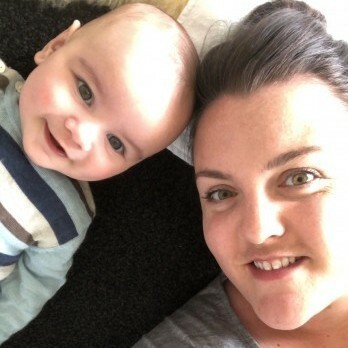 My experience ranges from Nannying to working primarily in the kindergarten setting and becoming a Mum to Louis, who is currently 6 months old. My passion for the early years came about when I first began working as a relief teacher throughout a range of Early childhood settings and realised what a wonderful, curious nature children have with each and every child being unique. I live in Rolleston with my partner Kyle and son Louis. Having a child of my own, and from professional development I have been involved in has highlighted to me the importance of children being in the home environment for the first stages of their lives. I like to think of my home as being a safe, homely, trusting and loving place where children have freedom to explore the indoor environment, natural outside space as well as making connections with our immediate, local community and utilising what great experiences it has on offer for young children. Relationships are at the heart of my personal philosophy and I believe are the foundation for the learning and experiences that happen for children. I encourage child lead learning through play and real life experiences. I have a strength in communication which I believe is key to working with children and their families. I am really looking forward to growing as an in-home educator, meeting new families and being able to put all of my prior experience and knowledge into practice within my home.